Five companies from the state’s east and north east have written an open letter to Premier Daniel Andrews, pushing for changes they say are necessary for the $7.3 billion industry’s future. “We need surety from the government that funds will be available to the industry so that we can invest in new equipment to accommodate for both native and plantation supplies,” a spokesperson for the group said in a statement. The letter from Fenning Timbers, Ryan and McNulty, Dindi Sawmill, AG Brown Sawmill and Kelly’s Timber Pty Ltd of Wesburn comes after more than 2000 people signed a petition over concerns of dwindling supplies and insufficient government protection. A government spokesman said they support a strong, viable and sustainable forestry industry and will consider the proposal. Not a single tree has been planted more than a year after the Victorian Government pledged $110 million to establish timber plantations in the Latrobe Valley. The announcement in the 2017 budget followed anxiety within the timber industry over reduced wood supply from the state-owned logging company VicForests and job losses in the region. But industry figures said there has been no progress and their questions to the Government have gone unanswered. The local MP for Morwell, Russell Northe, said the lack of detail was extraordinary. “I think everybody associated with the timber industry is just shrugging their shoulders and shaking their head and thinking what’s going on,” he said. “The timber industry is one of the biggest industries in the Latrobe Valley and the Gippsland region. And it needs to be sustainable. The plantations were to be bankrolled by an environmental fund set up to pay for projects that improve sustainability and tackle climate change. 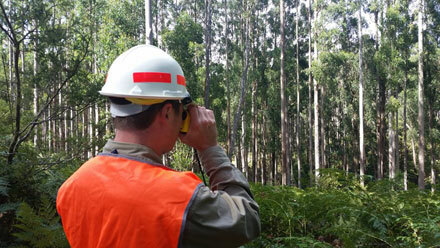 An auditor-general’s report found the timber plantation program was one of the highest-value projects to be supported by the fund, but it had not yet been approved. The report said more information was needed to see whether the program met the rules to qualify for funding. A spokesman for Agriculture Minister, Jaala Pulford, said the Government was taking its time to get the policy right and making sure the money was spent effectively. While environmentalists have long pushed for a transition to plantation timber, the industry has now joined the call. Six sawmills from across Victoria who call themselves the G6, or group of six, have called on the Government to introduce a plan for transitioning to plantation timber, as the supply of native forests made available for logging shrinks. Leonard Fenning from Bairnsdale, in East Gippsland, said the timber industry needed certainty. He said mills were frustrated at the lack of progress and information on the promised funding for plantation timber. It is unusual in forestry issues to see the industry and conservationists on the same side, but environment groups have welcomed the G6’s push. Sarah Rees from My Environment said they welcomed the initiatives put forward by the group, but were similarly concerned by government inaction on plantations. But environmental research consultant Chris Taylor said switching to plantations was not a blanket tick for sustainability, as they too had management issues. He said the public needed to be able to scrutinise proposals to establish plantations, as it would be a long-term investment of 30 to 40 years. Dr Taylor believed that Victoria needed to end agreements that guaranteed native timber supply to the Maryvale Paper mill in the Latrobe Valley, before it could stop logging native forests. The Victorian Greens have introduced a bill to Parliament to abolish that arrangement.